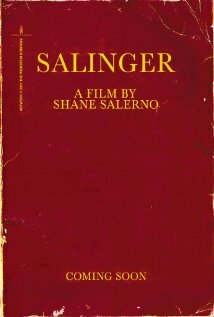 As I walked out of the theater after seeing Shane Salerno’s documentary, Salinger, I wondered. Why am I interested in J.D. Salinger? Have I been wondering why the famous author stopped publishing in 1965 and retreated from the limelight to Cornish, his home in the woods of New Hampshire? Have I been waiting all this while for an answer to that question? Not really. But that’s the theme of Salinger and while the film’s review of his life revived my interest in Salinger, I found more of a satisfying answer to my question in my own ruminations. To borrow the opening phrase from The Catcher in The Rye, “If you really want to hear about it…”, I’ll go into it. In set-up scenes before the film title appears for Shane Salerno’s documentary on J.D. Salinger, a reporter readies himself to take a paparazzi-type photo, on the sly, with a telephoto lens, of J.D. Salinger picking up his mail. Once the reporter gets his photo, the single word Salinger comes up in gold, on a blood-red background. The gold-glyph lettering on red brought up an association for me with C.G. Jung’s revered The Red Book, promising inner images from the most important years of Salinger’s life. However, far from revelatory, Salerno’s film reads more like a tabloid searching for psychological pathology than for numinous beginnings of genius. Salerno’s film is factually grounded in his carefully researched book, Salinger, co-written with David Shields and contains a great deal of archival material. However, its paparazzi set up is apt. That initial invasion of Salinger’s privacy leads to a cinematic scrutiny of Salinger’s life, looking for indications of why he left publishing and public life in 1965. The film delves into notes, letters and photos from Salinger’s private life, interviewing people who knew him and taking excerpts from second-hand interviews about him. It even uses re-enactment scenes with a look-alike actor to further the film’s impressionistic interpretation of Salinger as a quasi-fugitive. Now I’m as curious as the next person about the author of The Catcher In the Rye, a book that was a must-read when I was a teenager. I wanted to know more about Salinger, the man who wrote a signature book of the 20th century and validated my desire for individuality while feeling pressured for conventionality. But I’d never heard Salinger referred to as “Jerry”. Somehow, the familiarity jarred my image of the visionary writer who is practically a subtitle to his famous book – and a member of the Glass family, the iconic American family who appears transparent but isn’t. All sorts of disturbances are out of sight. Salinger was a man who was always protective of his privacy and who, by his own declaration, preferred being known through his writing. I wanted to know more about the voice that’s lasted, a mind that continues to captivate me even as I re-read The Catcher in The Rye fifty-some years later. In his writing, he praises the delicacy of innocence and holds it in high regard as a source of the will to live. By implication, woven into the fabric of his stories, innocence is a quality to be protected above all others. Children don’t know they have it until they begin to lose it. Adults in Salinger’s world are often oblivious to its critical nature and don’t even know what is and isn’t tainted by phoniness. Like Bob Dylan, J.D. Salinger caught a wave of consciousness sweeping across America and crystallized it in The Catcher in the Rye. We loved him for it — he shared forbidden thoughts, speaking directly to us as if he knew we wanted to know. Salerno is a dedicated archivist and I learned things about Salinger that made me appreciate him more than ever before. Vivid footage of WWII interspersed with photos of Salinger in uniform brought home the reality of his presence during a wrenching time in America. He was there, for real, and came home to complete a novel about a disillusioned youth that would soon catch on like wildfire. His way of talking caught a wave breaking in the 1950s, the last years of a reasonable, predictable world in which an ideal of authority reigned. Salerno’s film takes its time exploring Salinger as a drop out, forgetting to take him seriously as writer who captured the heart of America’s rebellious youth with a story of boy trying to protect himself. Searching for answers as to why Salinger turned down the public life of a celebrated author, Salerno’s film speculates that dropping out of prep school set the stage for Salinger to see society as up to no good. It cites early romantic and literary rejection as wounding him beyond repair, leaving him an emotional cripple and more than a little crazy. And then, with help from some startling WWII footage, Salerno substantiates war as unnerving and, by association, posits its force as breaking Salinger’s spirit and mind, forever leaving him too sensitive for ordinary social interaction. Sadly, Salerno’s insistent focus on psychological pathology denies Salinger consideration of being a writer living by his own truth. Reclusiveness and sexual relationships with young women hardly qualify as pathology amongst artists. And then, as the film itself explains, Salinger was well known in his hometown in New Hampshire, kept up longtime friendships with army buddies, sought out romantic liaisons and, most importantly, continued to write. As for his inclination to seek out young women, just think about Picasso — and keep listing famous men who romance women who are decades younger than themselves. Salinger himself referred to the artistic importance of his infatuation with a teenager in a personal letter to the girl in question, Esme. He stated emphatically that he couldn’t have written his short story, “For Esme – with love and squalor,” without her. Salinger forgets the author’s famous message of distrust in The Catcher in the Rye. It acknowledges Salinger’s identification with Holden Caulfield and then forgets to consider what Holden would’ve done in Salinger’s shoes when society came knocking. The film prefers to play with the theme of pathology, comparing Salinger to Howard Hughes and joining critics in seeing him as a wounded man who never grew up. Rather than focusing on Salinger as a serious writer wanting freedom, the film pumps up the wattage on his refusal to be a public figure. The irony may be that Salinger became fully himself right under the nose of a public hungry for his hide. Why not take Salinger at his word? I think it would have been fascinating to delve into his written words seeking a rationale to explain forty years of silence. It’s not even hard to speculate why he wouldn’t drop out of a society that, as he’d made clear in one of the most famous books of the 20th century, doesn’t accept individuals for who they are. To his way of thinking, society co-opts the creativity of individuals for its own ends. Does it take more than his own philosophy to understand his rebellion and angst? How about a reference to the fact that neither Tennessee Williams nor Truman Capote ever wrote another serious work after succumbing to the wiles of fame? And what of Norman Mailer, another 20th century icon, who arguably lost his footing as the shredding public winds had their way with him? Salinger began Holden Caulfield stories before he went to war. The film explains that Salinger kept several chapters tucked inside his jacket on D-Day for protection, and it (somehow) worked. After two years in the trenches, Salinger’s got off the front lines and into intelligence gathering – and, by his own words, into digging foxholes to cowardly depths. Though he was always in terrible danger, his need to survive in order to get his message out to the world gets short shrift in the film. Isn’t it more interesting, and equally credible, that Salinger – like Holden – sized up the oppressive weight of a disapproving, judgmental and popularizing public and thought better of growing up on its terms? After William Shawn, the New Yorker editor he regarded as a soul brother, used almost an entire issue to publish the story, Hapworth 16, 1924, in 1965, the critics panned his story. At first, Salinger pursued publication as a novella – and then changed his mind. Deciding not to publish was the last of his interface with the public. Even so, he never stopped writing. Why not wonder if Salinger, the man who found a touchstone of rationale for rebellion against society in millions of people, believed the authenticity of his voice wouldn’t survive mass marketing? Would he want to offer the heart and soul of his developing perspectives on war and intimate relations with women to a society he thought inhospitable, hypocritical? It’s public knowledge that he regarded society as hostile to values he held dear — innocence, authenticity and creativity. His refusal to be a dancing bear for society may be better explained by looking within Salinger’s own stories. Now I can give you the answer I found to my question. The writer is the J.D. Salinger I’m interested in. I’m interested in the J.D. Salinger who may have been walking his talk, rebelling against a society that thinks it has a better idea for young minds than the ones they have for themselves, the society that idolizes their bodies and their youth but throws them away in war and tampers indiscriminately with their exuberance. I’m re-reading his old books for clues of what Salinger was protecting. And I await the books of his later years – the ones Salerno cites at the end of the documentary that may be published between 2015 and 2020 – to see what emerges from Salinger’s reclusiveness. This American icon may have been tapping a chord submerged in our collective psyche. Or perhaps the words of singer-songwriter David Byrne capture a few notes of the Salinger chord: “If the 1% Stifles New York’s creative talent, I’m Out of Here.” As marketing has replaced incubation, artists may long for the days when they were ignored until they blossomed. Byrne talks about his early days with his band, Talking Heads, when exploration without the embarrassment of public scrutiny was critical to their development of a musical identity. From a younger source, my grandson True deliberates blogging even as he posts his first blog, a self-inflicted publishing option for Millennial generation writers. He channels what could be an inner Salinger-esque voice debating the pros and cons of writing for a waiting audience, a critical audience, an audience with the audaciousness of a society that judges value by popular success. For any serious writer, especially a young one, feeding a hungry public dragon poses a distraction. As True says, “Actually writing is one thing, but straining to display it is another altogether, especially when it consists of the musings of a good-for-nothing twenty-something.” And I hear Salinger’s chord twanging. Only the writer knows when ripening has occurred. 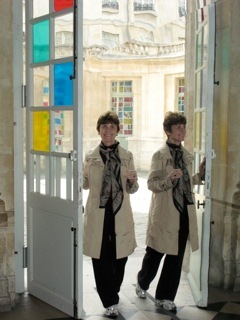 Without knowing whether readers await, the writer chooses the moment to come forward. Thanks for this very thoughtful piece. The best writing advice I know is to write books with the idea that no one will ever read them.